When you're choosing lighting for a room, the color or warmth of the light matters. Incandescent lights create a soft, golden light, while fluorescents emit a sharp, blue-toned light. Plants respond differently to different colors of light. The color you choose when lighting indoor houseplants depends in part of what you hope to accomplish. The sun barrages plants with the full spectrum of light colors, from red to violet. Plants soak up this light, using all but a small amount of it to drive photosynthesis--building energy-rich sugars from carbon dioxide and water. Aside from photosynthesis, however, some light colors help regulate other plant growth processes. Two colors of light in particular affect plant growth. Red light regulates flowering, acting as a sort of clock for optimal growth. Blue light encourages leafy growth. 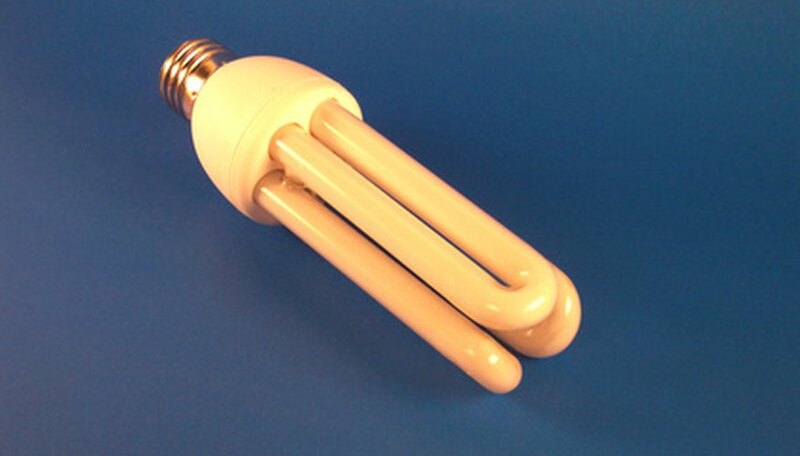 Incandescent lights provide an excellent source of red light, while fluorescents contribute blue wavelengths. While incandescent lights provide the red rays that encourage flowering, they do not make a good light source on their own, according to the University of Missouri Extension. The bulbs put off a lot of heat in addition to light, requiring you to locate them too far from the plant. Furthermore, providing red light alone, while it encourages flowering, causes vegetative growth to lag, and plants appear undersized and spindly. 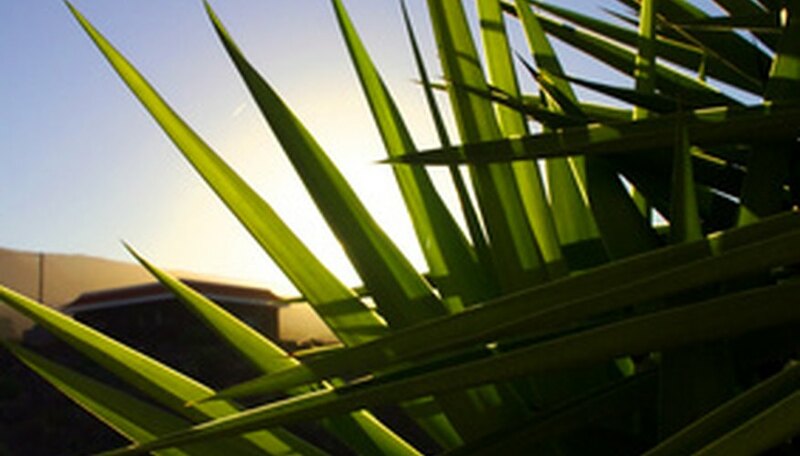 Outdoor plants receive a little bit of both types of light--so should yours. The University of Missouri Extension recommends providing 30 watts of incandescent light for every 100 watts of fluorescent. Locate the fluorescent tubes about 6 to 12 inches from the plant. Keep in mind that red light helps plants measure the day length so that they can produce flowers at a specific time. While most flowers develop in spring or summer, a few plants, called short-day plants, flower in winter. When encouraging these plants to flower, rather than saturating them with light, provide only about 10 hours of light per day to simulate winter day length.